This chapter is an updated version of a previous work about the authors' project on monitoring pregnancy progress in rural areas and/or areas with poor support of medical services. The project is based on an information technology solution based on mobile devices and health sensors such as electrocardiogram, stethoscope, pulse-oximeter, and blood-glucose meter to automatically collect relevant health data for monitoring pregnancy. In this chapter, the authors provide a detailed description of the software architecture of the system. They include a description of the test they have been performing and the difficulties they have faced for the complete implementation of their system. United Nations launched in 2000 the eight Millennium Development Goals (MDGs), which define the roud to follow for the correct implementation of the UN general objectives for Peace, Security, Development and Human Rights. There are eight MDGs to be reached by 2015 ideally. One of those is to provide correct maternal and pre-natal health in the world. The lack of appropriate maternal and child health in rural areas results in an alarming number of maternity and infant deaths (World Health Organization, UNICEF, UNFPA and The World Bank, 2012). In Mexico, although the infant and maternal mortality has been declining (maternal mortality fell from 89.0 to near 50 per 100 000 live births between 1990 and 2010), the states of Chiapas, Oaxaca, and Guerrero have high rates, with mortality rates highest among indigenous children. The leading causes of death continue to be associated with hypertension, hemorrhages, and other complications of delivery (World Health Organization, 2006) that could be avoided. It has been demonstrated in other countries that by means of an information technology approach several medical conditions such as maternity care can be intelligently monitored, managed and treated on a long term (Blank et al., 2013; Mougiakakou et al., 2010). Current health conditions in Mexico present a downward trend in overall maternity and infant mortality. However, it is highly remarkable that unequal access to healthcare services still prevail as a challenge in the country (World Health Organization, 2006). More specifically rural areas are the ones lacking the high-quality services needed to reduce maternal and infant mortality in the whole region. According to Jennert et al (Jennett, Yeo, Scott, Hebert, & Teo, 2005) health services and human health resources are more valuable for rural communities, thus the delivery of these services remotely using accessible technology could help to level up the unequal access to health services. We based our work on the actual situation of rural communities in some regions of Mexico. Further, in the article we present a case scenario that reflect the reality of such communities with respect to medical services. In the scenario, the characters are fictions to protect the identity of people. Our objective is to highlight the improvement of healthcare quality and accessibility using wireless technology in a rural area. 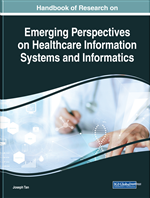 Since we first describe our work in the International Journal of Healthcare Information Systems and Informatics in 2014, we have developed a complete information technology solution that we describe in this chapter. However, due externa factors such as changes in the political regulations in the region and an aggressive reduction in the programs that the Ministry of Health supports in the same region, we have not been able to conduct the field test, as we desired. Our project MAMICare’s objective is to reduce maternal and child mortality rates in rural areas. MAMiCare uses information and communication technology (ICT) to strengthen the current health delivery practices for both the mother and child during pregnancy. During the last three years we have been working in our IT solution for proper health monitoring during pregnancy considering the proper technological limitations that prevail in rural areas. This chapter is organized as follows, Section 2 presents related work relevant to our solution approach, Section 3 describes the software architecture for our project. Section 4 briefly discuss the current stage of our work with respect to usability in rural areas. Section 5 discuss on the limitations we have faced and the current status for MAMICare. Finally, Section 6 concludes the chapter.